I suggest trying this simple exercise. Make two lists. First, make a list of your writing goals (i.e. complete your novel, run a successful blog, etc.). Then, list your writer needs that will aid in achieving the goals (discipline, establishing a writing schedule, generating ideas, etc.). Is this list dominated by your personal strengths or is it weighed down by challenges? If the latter, it’s time to consider bringing in a coach to help in reaching your writing goals. Working with a coach can benefit any writer, regardless of their experience with writing. Goal setting, accountability, encouragement are all benefits that coaching has to offer. If you are at a point in your writing/journaling experience that you feel you could use a bit more help with any of these tools, along with the bonus of having a listening ear, a non-judgmental perspective, and a motivating companion in the journey, you’re ready for a writing coach. One of my top priorities with my clients is self-care. Although they may have come to me to write a book or learn to journal in new ways, taking care of themselves mentally, emotionally, physically, and spiritually are essential. From there, we work on writing life (creating/establishing a writing space, routine, rituals, etc). I work with my clients to developing a complete support system of people, journaling exercises, affirmations, and even eating and exercise tips, when needed, to ensure they are operating at their optimal level to bring forth their best writing. The majority of my coaching clients meet with me weekly. Monthly, bi-weekly, and weekly coaching sessions are offered. We also utilize e-coaching (email coaching) between sessions. I use various resources to conduct coaching sessions to accommodate the range of comfort for my clients. Coaching sessions are held via phone or online meeting services using webcams. All sessions are recorded with the permission of the client. This frees the client to be completely present during their session, knowing they will be able to listen to the recording at a later time to take notes, jot their weekly assignments, etc. By being and remaining open throughout the entire coaching and writing/journaling process. When a writer is open to receiving coaching recommendations, receiving the lessons which accompany their successes and challenges, then they are able to ingest every bit of the coaching experience. Coaching is about discoveries and enlightenment, about finding what works and what maintains their motivation to move forward – and even knowing when to sit and simmer. I place a strong emphasis on journaling and self-care. The process of writing is going to be what it is and it varies as our personalities vary, but the growth as a person, outside of writing, happens most in the journaling and during self-care which is nurtured throughout the process. While writing, we discover so many things about our characters, about the places we set our stories, and even about the relationships between our characters. However, through journaling, we find the gems harbored within which tell about who we are as a person, a human, a soul – these revelations push us to a new level in which we will continue to write book after book from this elevated plane of self-knowing. Journaling has been a part of my life since I was five years old and, ironically, I began writing fiction at the same age. As an only child and enduring a difficult childhood, journaling became a refuge for me, and it still is. It was, also, a catalyst for my escapes into creativity. I soon learned one feeds the other (journaling and writing), and it has been my writing process throughout all of my works. I believe it is my knowledge and experiences as an avid journal keeper, published author, and a publisher offer a perspective to my coaching style that best serves my clients. Five time author and poet, Brook Blander has been coaching writers and journal lovers to find their voice and healing through the power of creative writing and journaling for over a decade. Visit her at her website or follow her on Twitter for more creative inspiration! Her passion for writing and helping others led her to begin work as writing coach and publishing consultant. 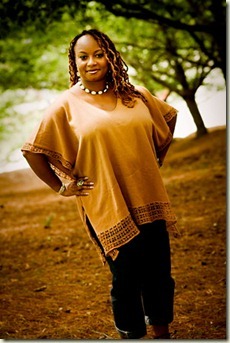 She is the founder and owner of ebonyLotus Literary Coaching and Publishing Services. Blander facilitates workshops online and in person throughout the US. She devotes much of her time to raising awareness of domestic and sexual violence against women and holds journaling workshops for victims and their families. Brook, it’s so cool that you work with writers on self-care. It’s not the first thing I think of when I think of a writing coach, and yet figuring out how to lead a (somewhat) balanced life seems to be critical to my own writing process. I’d love to hear more about that! Friends and visitors, please chime in with questions and thoughts. We’d love to hear from you! Cheryl, thank you so much for having me as a guest on your blog. I am honored for the opportunity to share with your readers what I do as a Literary Writing Coach. Self-care is more important than many people realize in the life of a writer, and any profession, honestly. When you’re health (your physical, mental, and even spiritual health) are not good, the creative mind doesn’t output at its highest level. I learned so much about how important it is to take care of myself and journaling as a way of checking in with my “inner-self” from my own Life Coach, Marlena Daniel and my Creativity Coach, Cynthia Morris. When I begin to see the benefits of taking care of me as a way of taking care of my writing and creative mind, I began to put more emphasis on it with my own coaching clients so that they could reep the benefits of it as well. Yoga, meditation, and journaling…these are the personal self care essentials of choice for me. Its important that every writer identify and indulge in what works for them. Again, Cheryl, thank you so much for having me on your blog. Thank you, thank you, thank you for this …the interview hits the nail on the head. Self-care puts disturbances in order, removes the chaos and the laziness among other things which prevent the mind from being at ease, and at peace during writing. A quiet mind allow us the chance to listen to our characters and properly follow the course of the stories being told to us. What a brilliant coach Brook Blander is. I will have to visit her site, do the exercise to determine if I am ready for a coach and seek her help, if indeed I am in need of one. Hi Simon, thanks for such an effusive comment! I’m so glad this “introduction” to Brook has been helpful. Writing is one of those pursuits that lends itself to falling into a vacuum. The idea of a coach is great to keep you open and interacting.